We are a welcoming community of faith built around a strong belief in a powerful and loving God made known to us in Jesus Christ. Our faith tradition is based on the life-transforming story of Jesus Christ and his boundless love for all people of the world. Through worship, education, and service, we practice our faith, grow in our relationship with God, and experience God’s grace in our daily lives through the presence of the Holy Spirit. In today’s complex world, we put our faith into action to make a difference in practical, realistic ways, bringing relief to the disadvantaged and those who suffer. As a member congregation of the Evangelical Lutheran Church in America with 300 baptized members, we are one of nearly 10,500 congregations comprising nearly five million members across the US. We are a member of the Texas-Louisiana Gulf Coast Synod, a group of 126 Lutheran congregations in Houston, New Orleans, and surrounding areas of the Gulf coast, working together to train and call pastors, send missionaries, respond to disasters, help congregations in conflict, provide for campus ministries, and much more. Through our outreach and evangelism programs, we provide assistance to Greater Baton Rouge Food Bank, Interfaith Federal of Baton Rouge, ELCA World Hunger, Lutheran Campus Ministries at LSU, Christmas gifts for needy children, Capitol Elementary through free will offerings and Volunteers in Public Schools program, and the Central African Republic through assistance in funding education programs and the construction of spring boxes for water purification. St. Paul Lutheran Church was established in 1957 through the Texas-Louisiana Synod. The first meeting, with seventeen families represented, was held October 24, 1957, at the pastor’s home on Thurman Drive. In November, the name of the new mission was chosen: St. Paul Evangelical Lutheran Church. Forty-six adults and children attended the first worship service which was held at Goodwood Elementary School on December 1, 1957. Through 1958, there were various charter signings until sufficient membership permitted the mission to become an official congregation. The organizational service was held on December 14, 1958, with a total of one hundred and two baptized members, including fifty-six confirmed members representing twenty-nine families. The first Holy Communion Service was celebrated on December 22, 1957, and the first Lenten Service was held on Ash Wednesday, February 19, 1958. 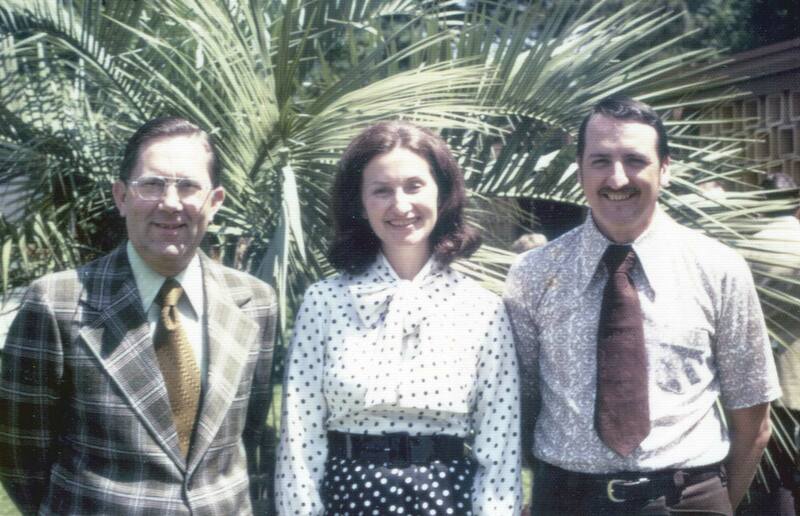 In June 1960, the land at Goodwood Boulevard and E. Airport Drive was purchased and renovations were made on the existing house to enable the congregation to hold services there. The congregation moved into its new worship facilities on December 11, 1960. 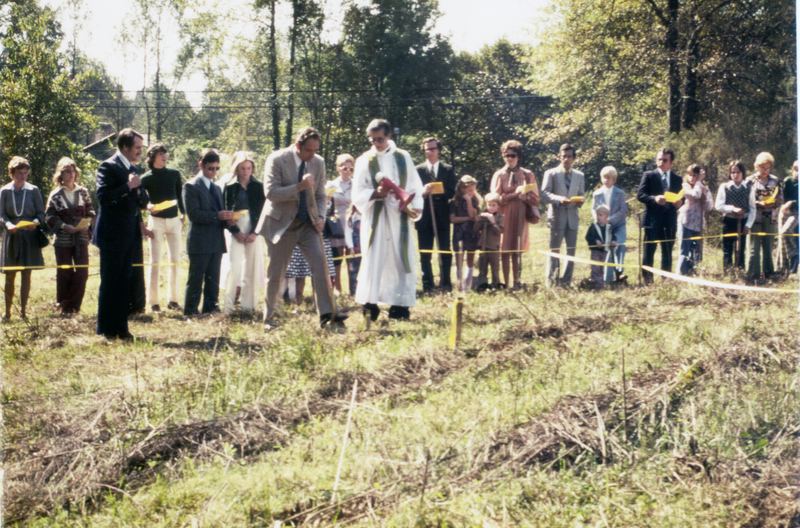 Groundbreaking ceremonies for a new $70,000 First Unit were held on the property adjoining the existing house-chapel on January 18, 1962. Consecration of the new church and educational facilities was held on September 16, 1962. With a desire to grow, a decision was made in 1974 to relocate to a more residential section in the same general area. A successful funding campaign was conducted by the Lutheran Laymen's movement and the property at the corner of Tara Boulevard and Old Hammond Highway was purchased. Ground-breaking ceremonies were held in September 1975. The building complex consisted of three units: the permanent sanctuary, administrative wing, and the educational, multi-purpose wing with a total area of 7,527 square feet. 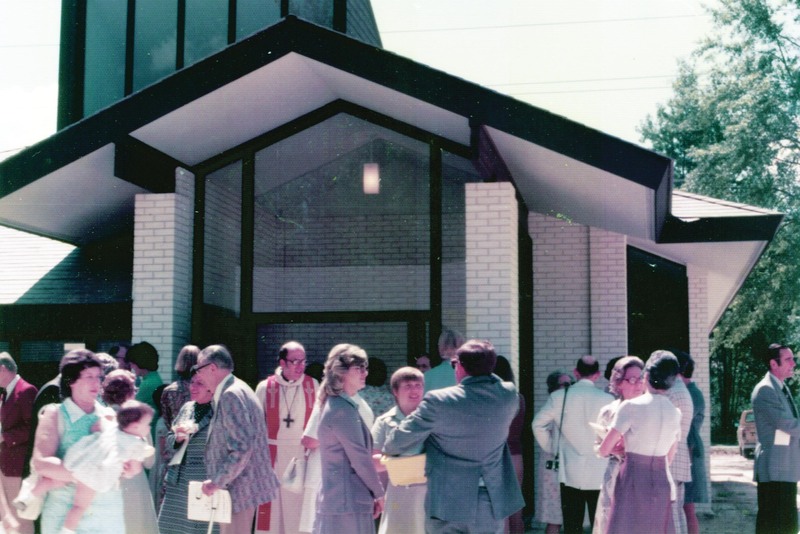 The new building at 2021 Tara Boulevard was dedicated on September 12, 1976, with an active congregation consisting of 438 baptized members representing 309 confirmed and 120 families. John Desmond, of the architectural firm of Desmond-Miremont, was engaged to design the structure, and Sumrall Corporation was the contractor. Baton Rouge artist Adalie Brent was chosen to design the leaded glass windows. Brent was a painter, museum director, teacher, graphic designer, and designer of stained glass, textile hangings, murals, and jewelry. She was the first director of the Louisiana Arts and Science Center (now the Louisiana Arts and Science Museum) and part of the committee that developed the Centroplex: the performing arts theater, the governmental building, library, plazas, and arena.